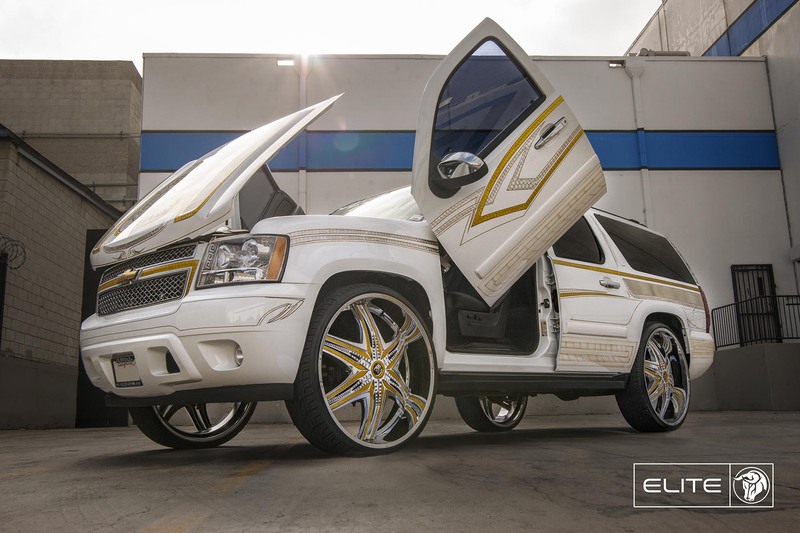 Pearl white is always a good car color. 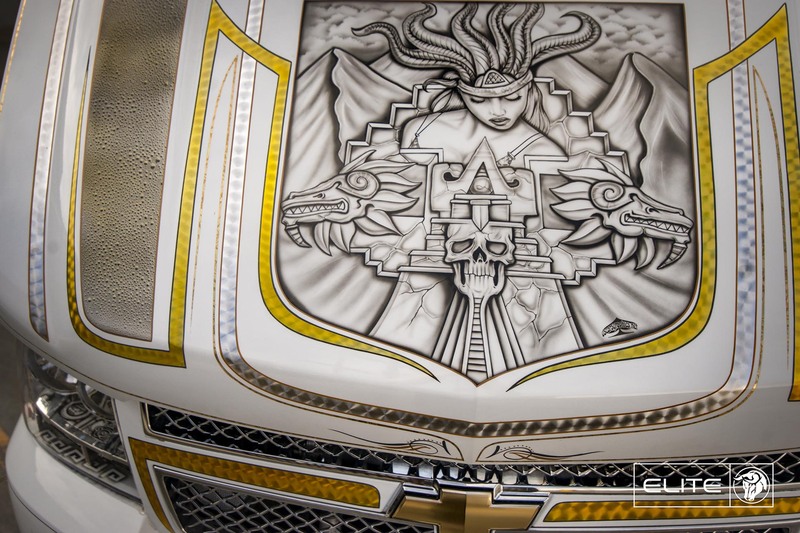 It’s a pure backdrop for elaborate art like we see on this Chevy Suburban. 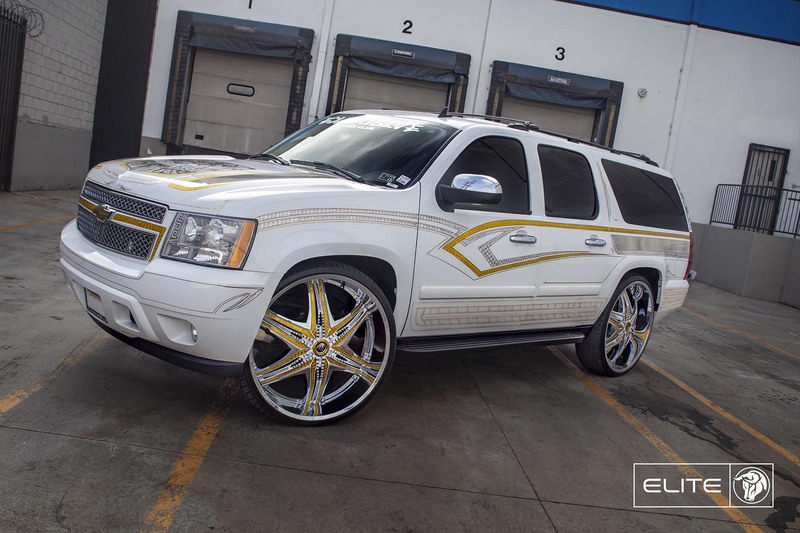 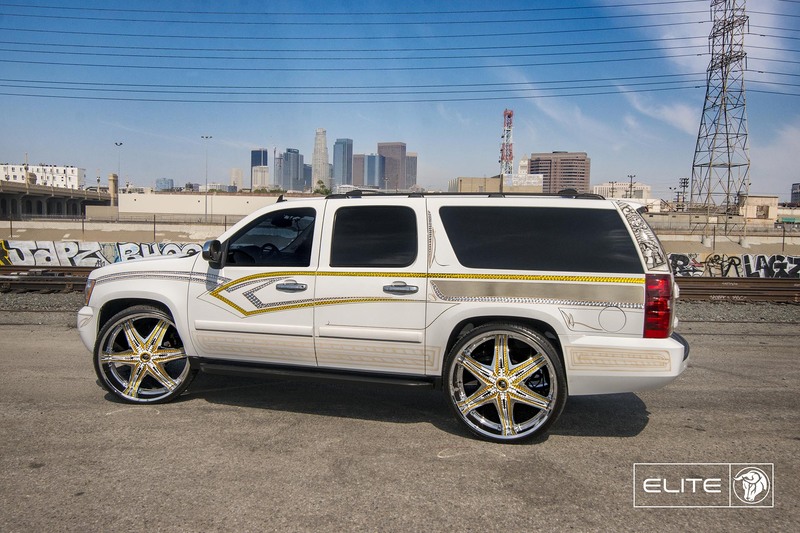 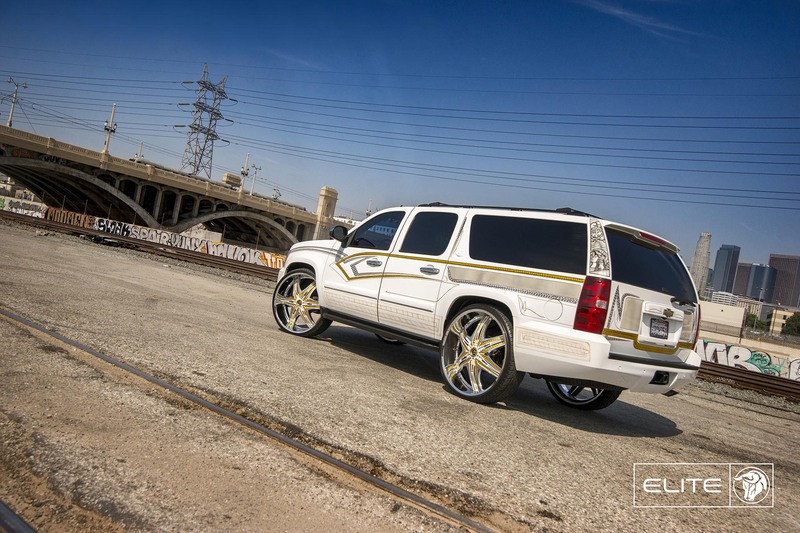 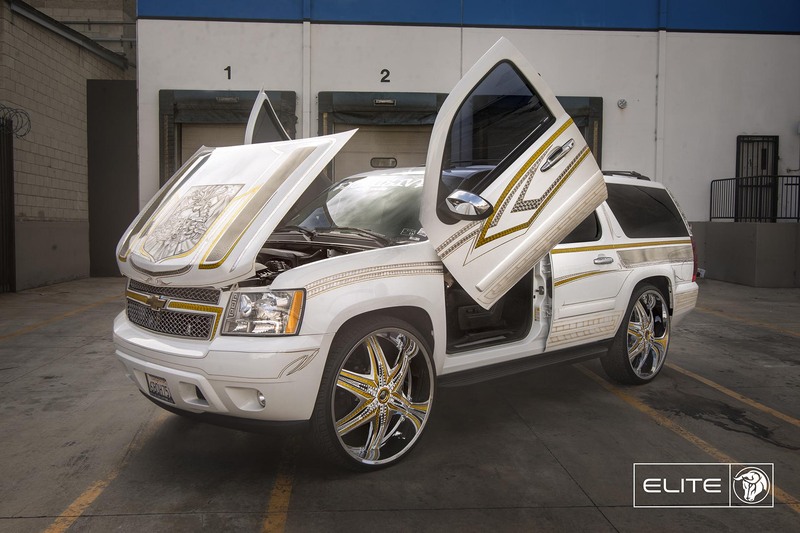 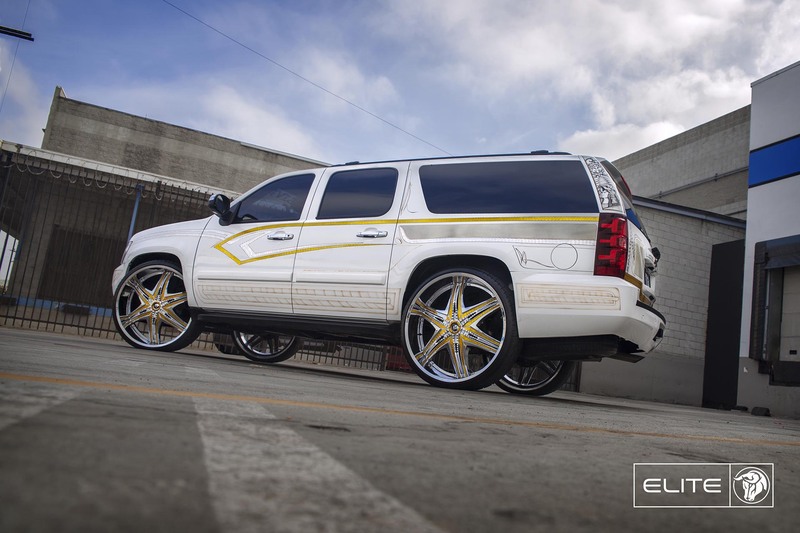 The gold trim and airbrushing turned this ride from a basic truck to a rolling piece of art. 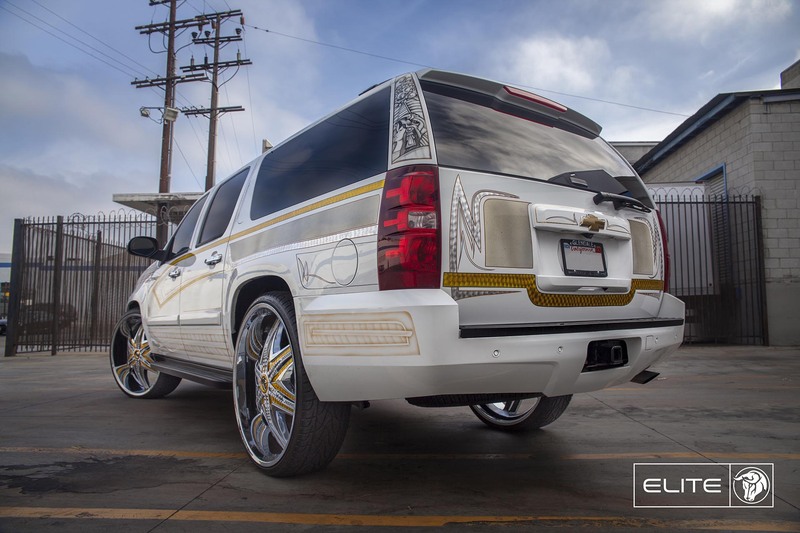 No parts of the vehicle were left bare. 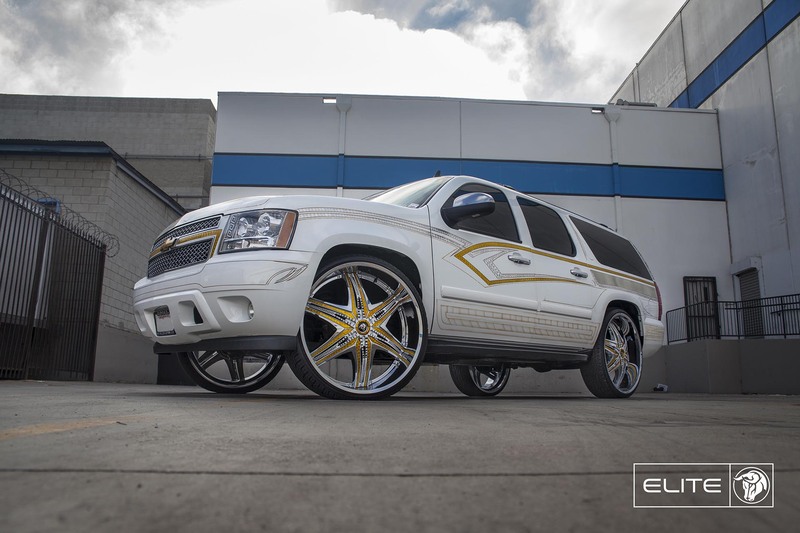 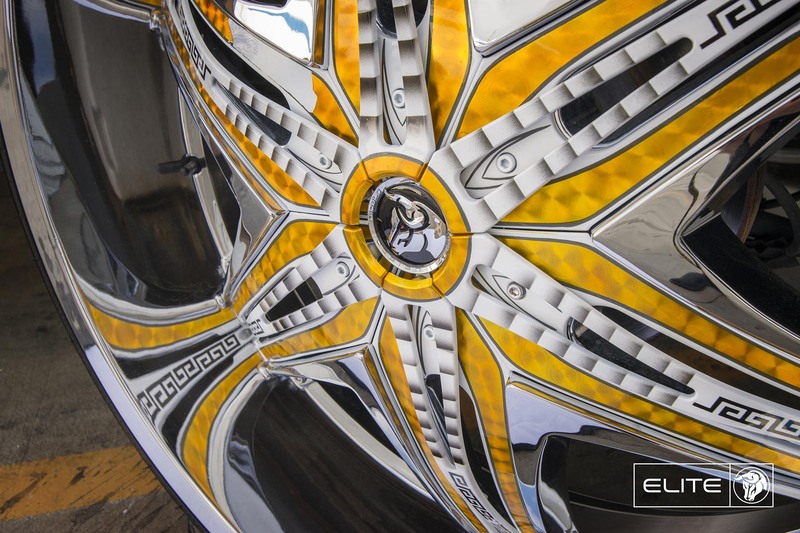 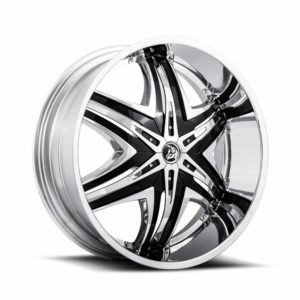 The set of 30″ Diablo Elite wheels were customized with Aztec art to further tie together the look.